A self catering flat minutes from the beach, marina, market and train station. Situated in the old medieval old town in rue general andreossy, a charming, refurbished in 2016, studio apartment with large balcony providing views across old Antibes. The apartment, accessible by lift and stairs, is on the second floor. It has charmingly furnished dining and sitting areas, a full galley kitchen and a new modern bathroom. There is a new kitchen with integrated dishwasher, fridge, micro oven and ceramic halogen hob and a bathroom which was completely renovated last year. Linen and towels are provided.The lounge has a TV and DVD player inluding WIFI access, a new couch which has an easy conversion to a very comfortable bed with a high quality mattress. There is also a fold down single bed. It has a two easy chairs and a table and chairs which can seat up to four for dinner. A powerful ceiling fan ensures that the flat is kept cool at all times. There is a large balcony which provides a peaceful open air living space, it is ideal for outside dining with two comfortable chairs and a table. A few minutes stroll takes you to the main square, beach, yacht harbour, Provencal market, restaurants and shops. If you are travelling by car, there is street parking all around the flat and also two car parks close by. Antibes is also an ideal base for touring the Cote d'Azur with a direct rail link to St. Tropez, Cannes, Monnaco, Nice and into Italy. There is also a direct bus link to Nice International Airport. There is a newly installed bathroom with a shower, WC and sink. A wooden table which seats four is inside the main lounge. There is also a table and chairs for two on the balcony. THere is a stereo and a ipod docking station with radio. The balcony is a real feature of the flat. It is large enough to comfortable sunbath or eat on witha table and two comfortable chairs. There is also an sun umberella. There are however four steps into the main entrance hall from which you can get a lift to the flat. The flat, which has a security entrance and a guardian, is on the second floor. It is accessible by stairs and a lift. L'appartement correspond parfaitement à la description. Il est très bien situé. Le vieil Antibes se fait à pied. L'accueil a été parfait et le séjour s'est déroulé dans d'excellentes conditions. Le contact avec John a été des plus sympathiques. Thank you for your very positive review which I have translated below, a recommendation indeed! The apartment perfectly matches the description. It's located very well. The old Antibes is done on foot. The welcome was perfect and the stay was in excellent conditions. The contact with John was very friendly. This apartment has everything you need for a restful and peaceful holiday. From it, you step out into the heart of the old town yet when you are in the apartment it is so very calm. It has a wonderful spacious quiet balcony to be enjoyed at all times of the day with lovely views over the rooftops and gardens. The flat itself has everything you need for a luxurious stay. I visit here regularly and enjoy it at all times of the year. Thank you your very positive review. I agree, October can be a lovely month with temperatures in the 20s and a bit quieter than the busy summer months. Glad you enjoyed your stay. 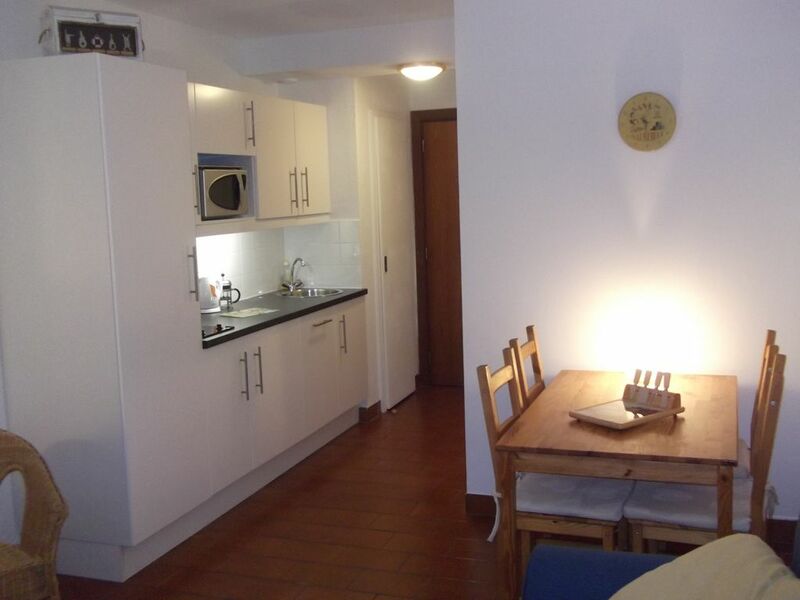 A clean and well equipped studio apartment in an ideal location for exploring the old town shops and restaurants. The balcony is spacious and looks out onto rustic old town buildings which is great to relax on in the mornings and evenings. The clean and sheltered beach is only a hundred meters away. There are lots of interesting things to see in Antibes from the old fortifications to the Megayachts in the marina. Excellent bus and train services come through Antibes so there is no need for a car if you want to explore further. The owner provided excellent guidance and advice both before our trip and in the info-folder in the apartment. Thank you for your very positive review. I am glad you found the flat to your satisfaction. I agree with you about the balcony; I have spent many a morning relaxing on it. Welcome back anytime. Apartment was clean and had all you require for a short stay. Lovely terrace overlooking the roofs of the Old town and the Big wheel on Port Vauban. Very comfortable sofa bed and location was perfect, just step out of apartment block and you are in the heart of this bustling town. So many restaurants to choose from, great atmosphere everywhere, train station within walking distance and La Gravette beach a few minutes walk. John was very helpful when I needed to contact him. We would return to Antibes. Thank you John. What a lovely review, thank you Suzan. I am glad you enjoyed your stay. Antibes as you say is lovely and the apartment is so very central for everything? I would love to see you back anytime. We visit Antibes regularly and return to this apartment whenever we can as we find it so comfortable and perfect for our needs. The location is ideal as it within easy walking distance of everywhere you would want to go in Antibes but it is also very quiet, peaceful and away from the bustle. This makes for a good night’s sleep as does the comfy pull out sofa bed and the ceiling fan which makes a huge difference in the summer. I prefer this to air con as it usually makes me cough, especially if left on at night, so a fan suits me better. The apartment has everything you would need for a comfortable stay and makes good use of the space. The large balcony is the highlight for us; we spend a lot of time here looking across at the lovely view of all the little French rooftops on the neighbouring apartments and it is the perfect place for a relaxing glass of wine. The balcony extends the living space making the apartment itself feel bigger and it’s not always easy to find an apartment in Antibes with a balcony, so it is definitely a bonus of this place. We love staying here and highly recommend it. Lovely to see you back again. Thanks for your very positive comments re balcony and situation of the flat not to mention the bed. Interestingly I agree with your comments re the fan, I to prefer this to air conditioning as I find it less noisy and healthier than air conditioning. The powerful fan does every bit as good a job in keeping the flat cool night and day. See you next time! The property has a great location in Antibes. It is only a couple of minutes away from the Old Town, coffee shops, the beach and bars and restaurants. There is a supermarket just around the corner. The flat is ideal for a couple but I found it a bit small for two single people staying together. The facilities include Wi-Fi. When this briefly stopped working the owner provided excellent service in arranging for someone to come round to fix it. I would recommend the flat to couples looking for the ideal base from where to explore Antibes and the surrounding areas. Thank you for your review. I am glad you found the flat so close to all facilities; that is a real feature of the flat and often commented upon. I can understand your comments re two single people - when I put the extra single bed out, it really is like three beds when you include the double sofa bed which us quite substantial in itself. It really is better suited for couples or a couple and a child. I am pleased that the service provided with the Internet problem met your needs. I would be happy to see you back anytime. Thanks again. Situated in the old medieval old town, a charming studio apartment with large balcony providing views across old Antibes. A few minutes stroll takes you to the main square, beach, yacht harbour, Provencal market, restaurants and shops. The apartment, accessible by lift and stairs, is on the second floor. It has charmingly furnished dining and sitting areas, an American-style kitchen, a WC and separate bathroom with bath and shower. Linen and towels are provided. There is a large balcony which provides a peaceful open air living space, ideal for outside dining. Antibes is also an ideal base for touring the Cote d'Azur with a direct rail link to St. Tropez, Cannes, Monnaco, Nice and into Italy. There is also a direct bus link to Nice International Airport. April & Oct: £325. May & Sept: £350. June, July, August: £425. Nov-March: £300.